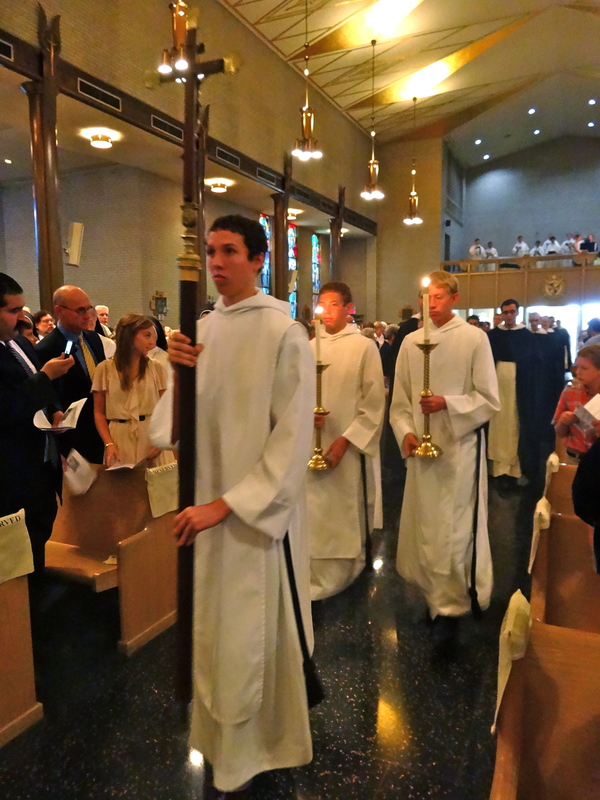 The Novices have stepped out of the nest. Now, they fly. They are a flock of fledging friars! Sorry, guys, no disrespect. Just a little mom fun. 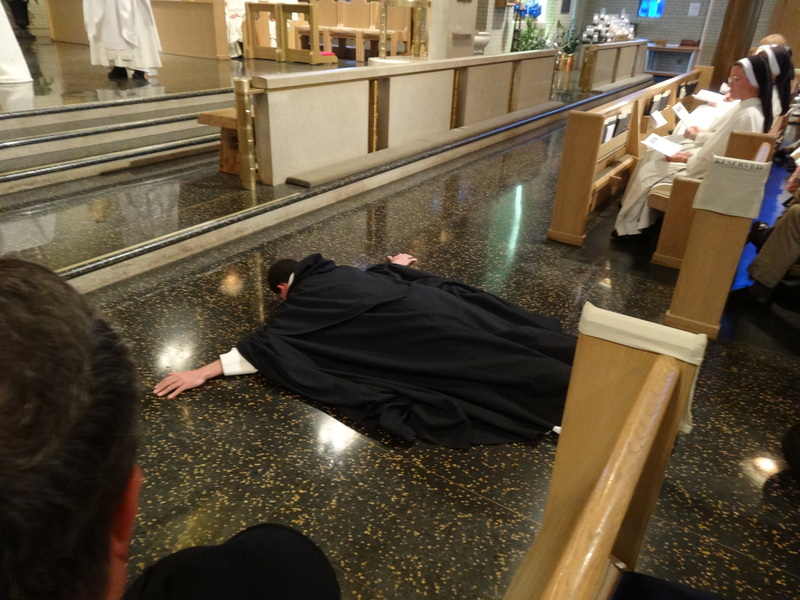 Seriously though, as you all know by now, last Wednesday, on the Feast of the Assumption, my son and his nine novice brothers took their First Vows. These are also known as Simple Profession. 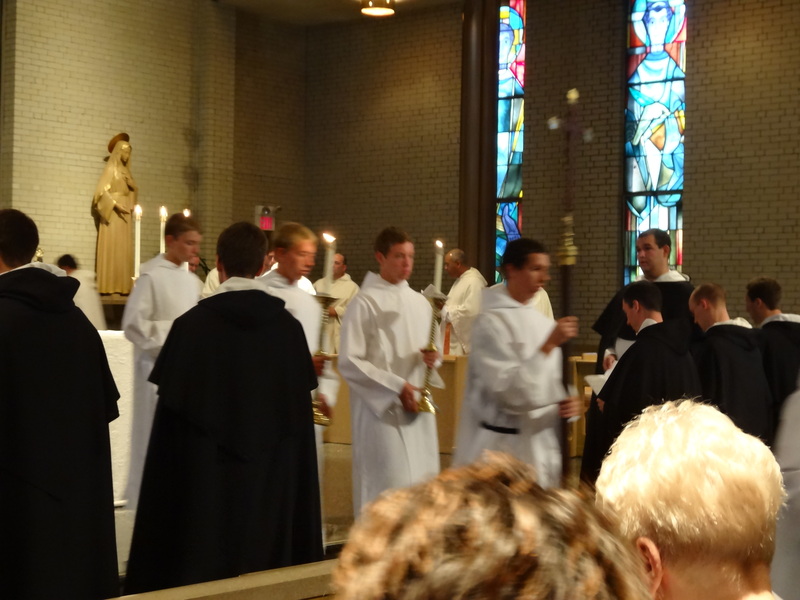 They are the vows to the Dominican Order and religious life as a Student Brother for the next 3.5 years. 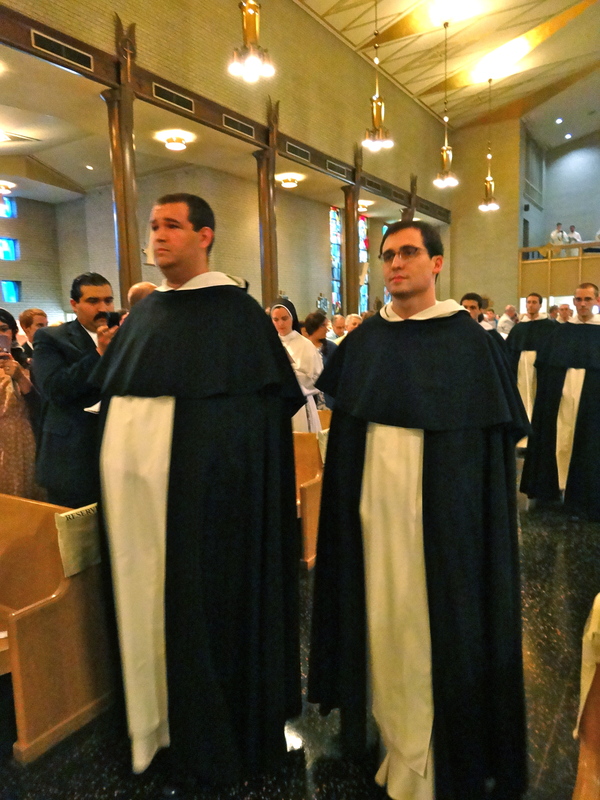 They are the last step of serious discernment before Final Vows, aka Solemn Profession – where they will (God willing) take a vow to God himself to live the religious life with the Dominican Order, until death. Yeah. Read that one again! Wow. 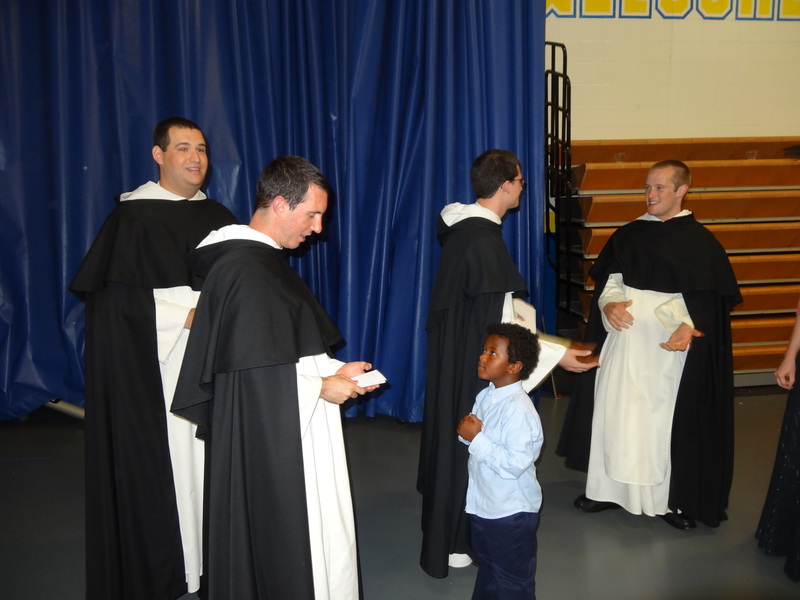 Even these First Vows, seemingly much smaller (3 years versus the rest of their lives), are so big. Because if they weren’t awfully sure that they were called to this life, and loved it, until death, they wouldn’t have taken First Vows. They are that big. 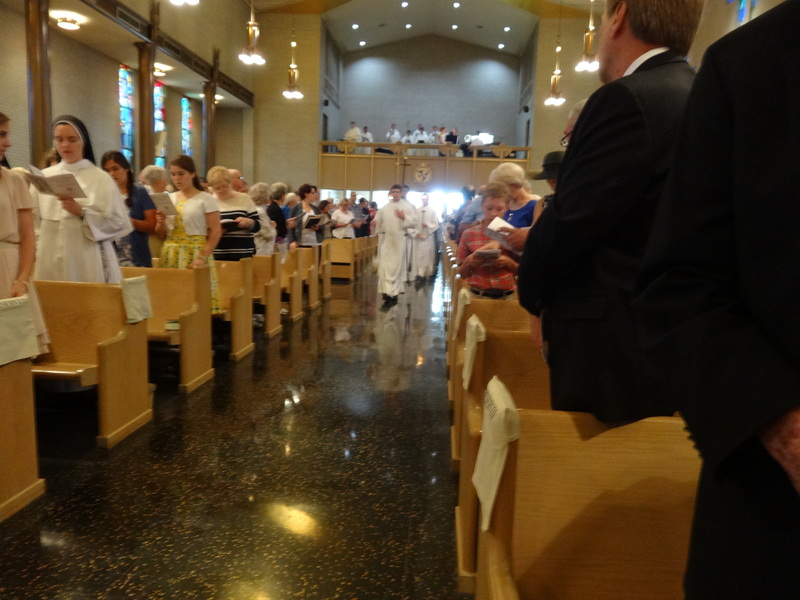 In fact, Peter Joseph (my Chris) told me after the Vows that the Final Vows are rather considered a confirmation of their first vows; that First Vows are the ones that are marked with the anniversary. !! Yeah, good thing, I suppose, that he told me that after the Vows, because I was leaky enough….if I had known, I would’a been UNDONE. 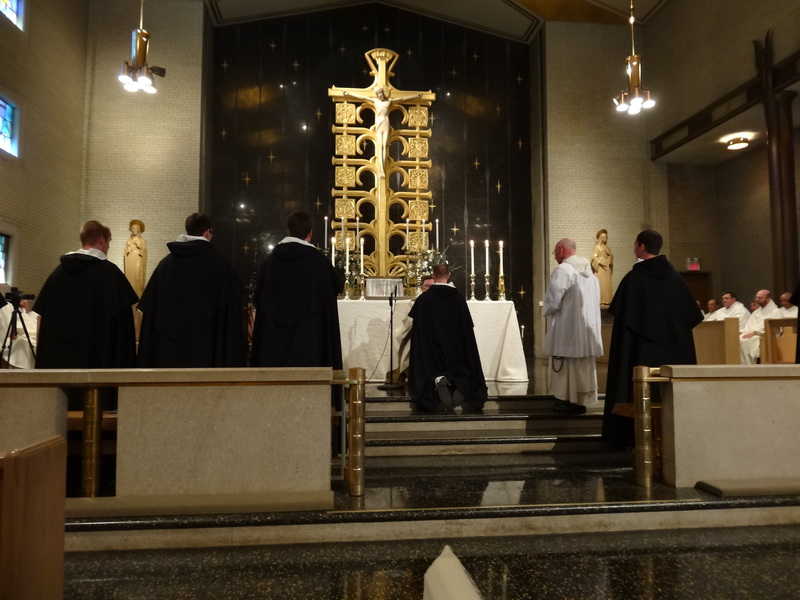 You and I should see the Religious Profession of our ten brothers this day not as some isolated incident in their lives, which we may or may not understand, but rather as a further unfolding of the Paschal Mystery in the life of each of these ten men in all his individuality. What do I mean by that? Their act of vowing themselves to the Lord in poverty, chastity and obedience, which they will do in a few short minutes, one after another, is a further manifestation of the Mystery of Christ’s Life, Death and Resurrection being revealed in the life of each of these ten men, this Mystery into which they were incorporated through their Baptism, through their Confirmation, and through their faithful receiving of the Body and Blood of Christ in the Holy Eucharist. 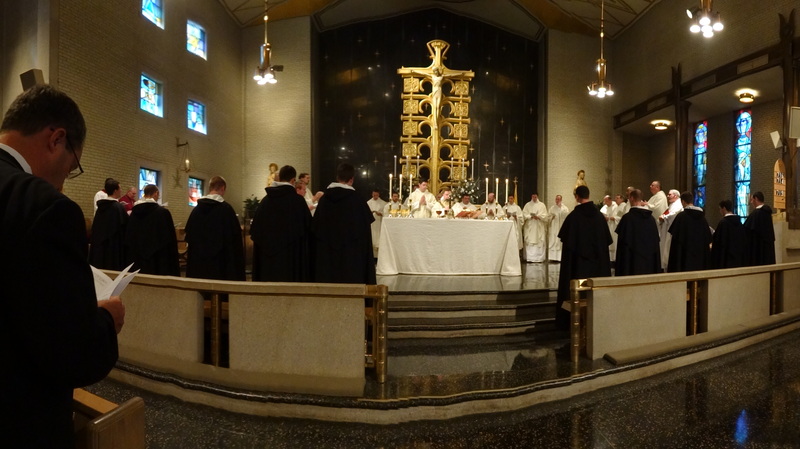 It is easy for us to be overwhelmed by the enormousness of what these ten men do here today in vowing themselves to a life of poverty, chastity and obedience, especially because we cannot know exactly what road lies ahead for each of them. 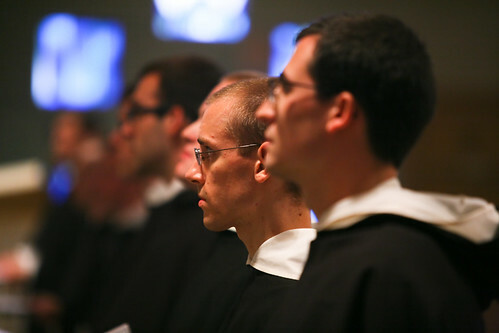 However, we must not lose sight, either, of the immensity of Christ’s love that has brought them to this moment in their lives, Christ whose voice it is they are responding to, and whose unwavering fidelity toward them is the only thing that makes their desire to be faithful to Him even possible. But we can have every confidence that Christ, the Firstborn from the dead, will, in His Goodness, continue to manifest His life, death and resurrection through the lives of our ten brothers, will continue to call forth from them abundant fruit, fruit that will last for the building up of the Kingdom here on earth, until He returns, when they too, each in his proper order, will share fully in Christ’s resurrection from the dead. 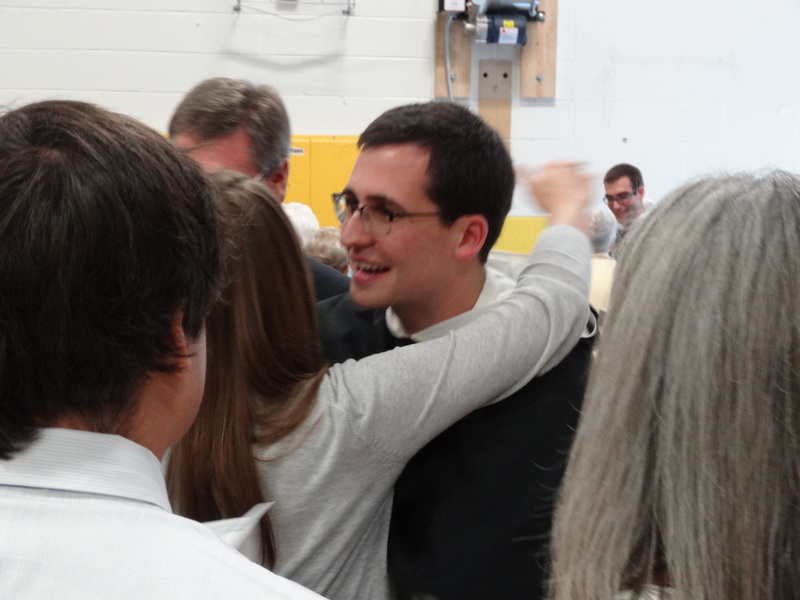 I’ll post more about the hoopla of the vows. But this, for today, is the essence of why it’s so big. The Novices have moved into the next step. My favorite friars are on their way! 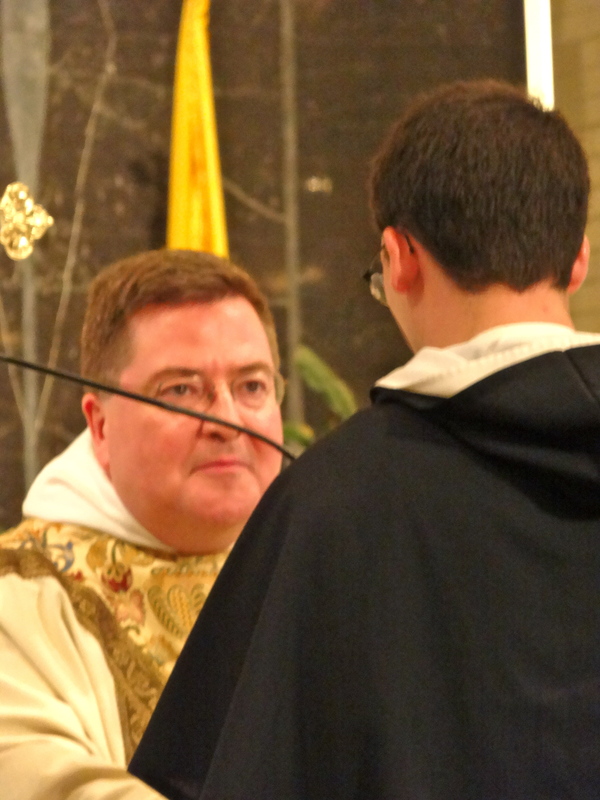 This entry was posted in catholic life, Dominicans, family life and tagged Dominican friars, First Vows, Novitiate, Simple Profession by coffeemom. Bookmark the permalink. Michelle, Thanks for posting these wonderful photos! It was such a beautiful day/ceremony! Loved seeing you all. I know what your husbands favorite gift was this year for his birthday!! Pretty sure it was…I’m excited for this next step for them all. Peter Joseph seems to be settling in well. They’ll all stay in my prayers. Father Pius, hello and thanks for stopping by! So glad you’re ok with my links…. And thank you doubly for these links to the pictures! Bless you and thank you, Michele.